She is such an angel. I love her so much and her parents are the most amzing people I have ever met. She is blessed to have been born to Jamie and Sean. Thank you for keeping us updated ,as you know your family is constantly in my thoughts and prayers . Your optimism and courage are inspiring and I am happy to see everyones smiling faces through what I know can't be easy . I am glad your little angel is able to be more comfortable with the g tube . Much love. You all are still very much in our thoughts and prayers. We pray for baby Reesa every night. Again, please get in touch w/ us when you are able. 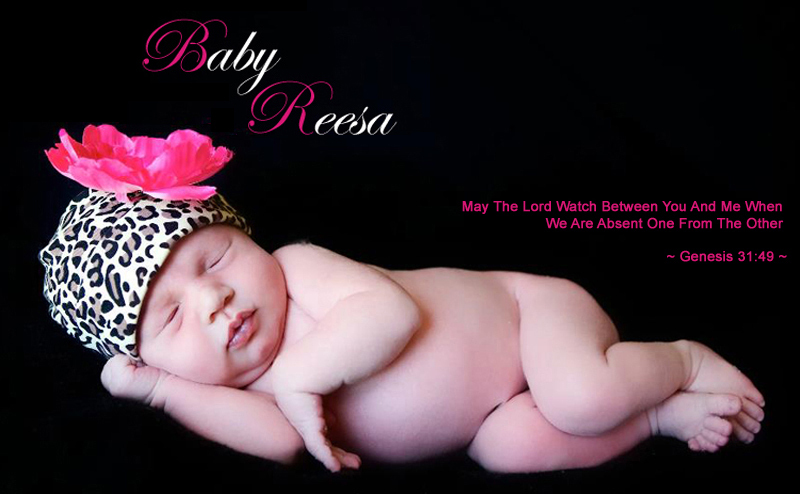 We'd love to get a petition started and tell baby Reesa's story. Love you guys! My thoughts and prayers r with you and your family! May God place his healing hands on Reese heal her I do believe in miracles. May God lift and hold you all through this time. God bless you all. Thinking of you always! Baby Reesa is such a strong Beautiful girl, just like her Mommy. Always praying for all of you. GOD BLESS and Love Always! I don't know if you saw the news about averys blog. I know that besides their beautiful lives brunch cut short their diseases are not the same. I just love that they call the g-tube her "gland tube" and I think that fits reesa perfect! If you by chance missed it I think averys bucket list is amazing to check out! Prays and love!
" Lives cut short." Glam tube... Auto correct gets me every time! You are an amazing family. This story has really touched my heart. My twins have also had g-buttons and they are definitely something to get used too. Button buddies also has some super cute patterns for her gbutton!! God bless u baby reesa!